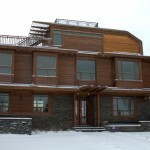 Beyond Homes together with BBLOC have designed b95, a project consisting of two semi-detached units in Calgary, Canada. 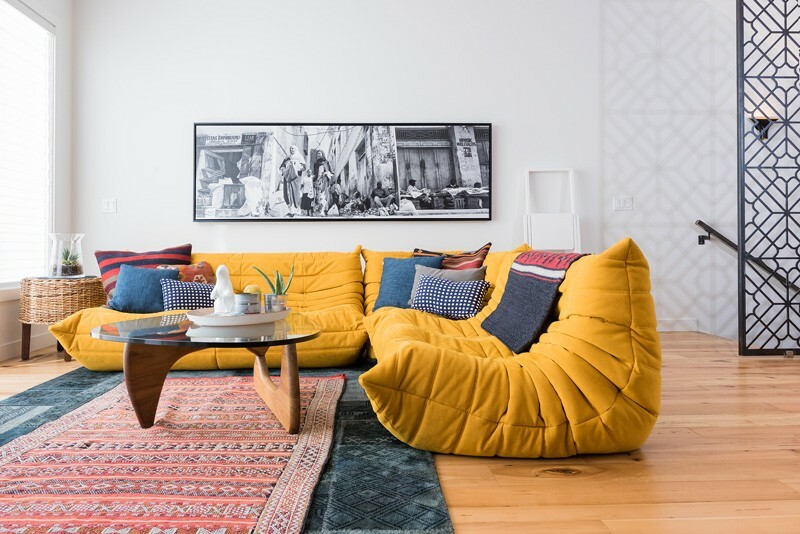 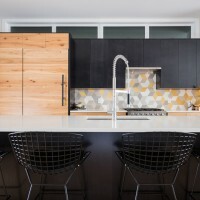 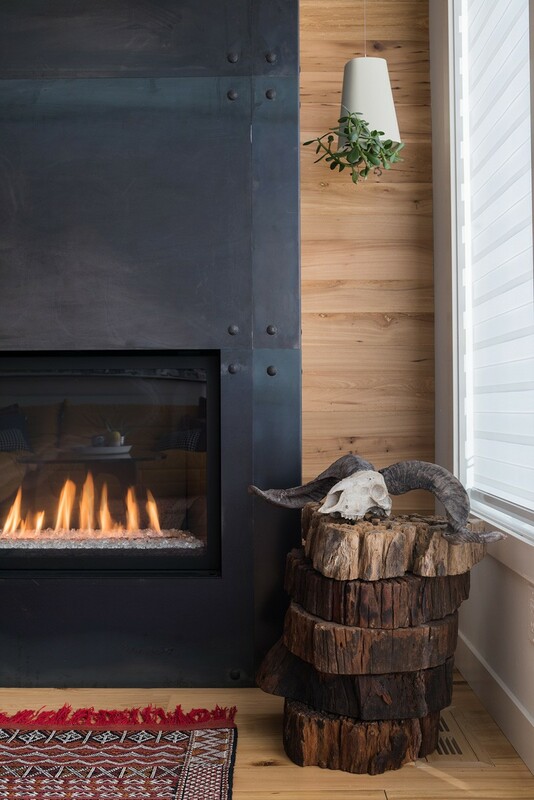 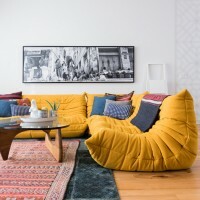 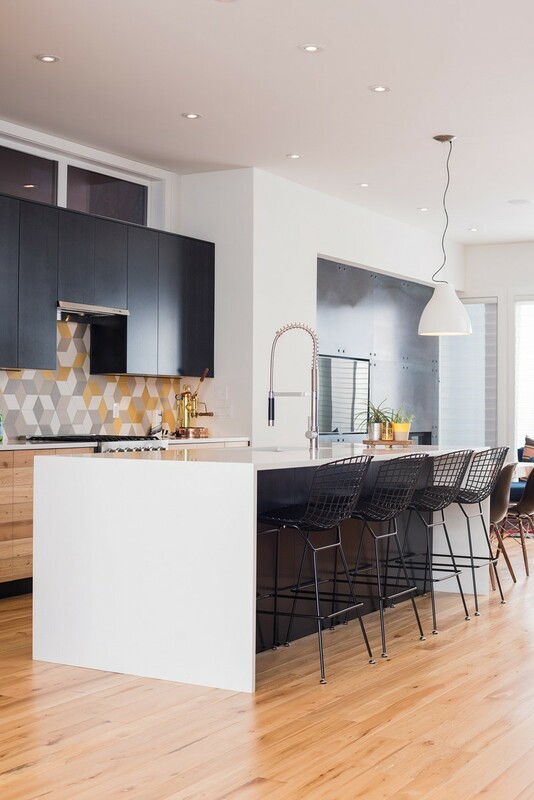 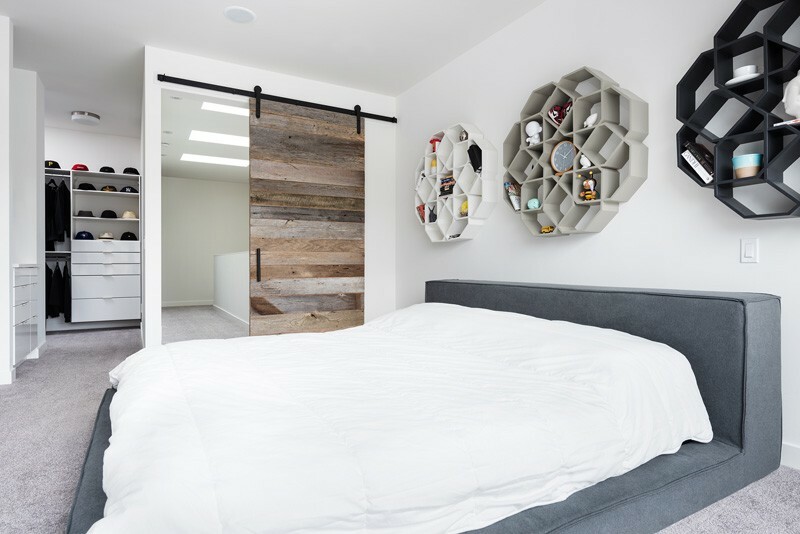 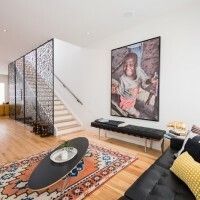 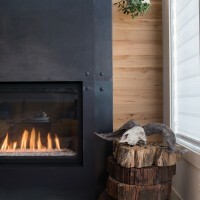 This home is a new take on the urban infill- it incorporates design inspiration from around the world with a focus on natural/reclaimed components, in a style and energy that resonates with the spirit of Calgary. 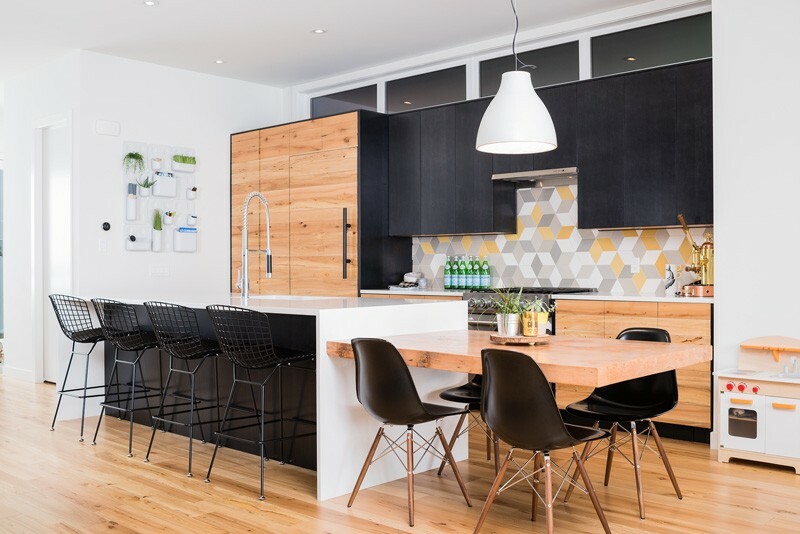 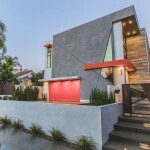 The two semi-detached units provide 2800 square feet of living space, differentiated through the use of contrasting dark and light exterior finishes – black and white stucco and corrugated metal siding. 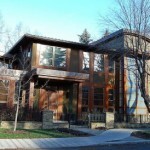 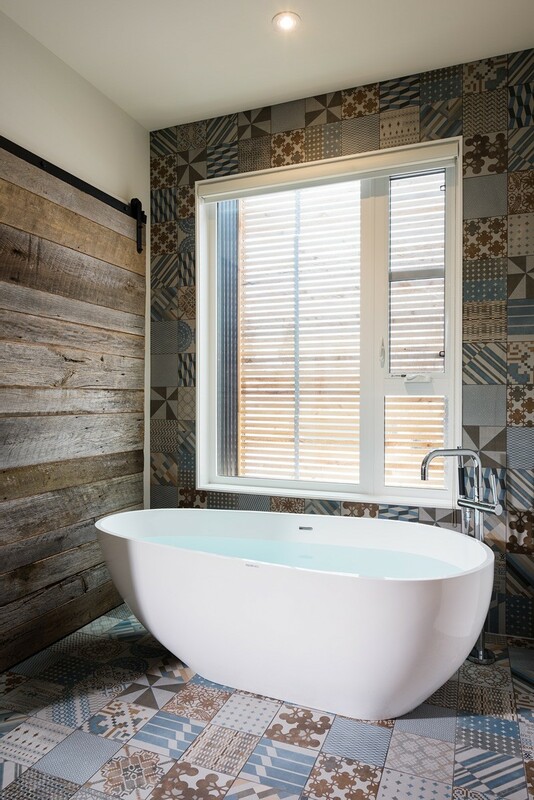 The exterior facades are tied together through the application of reclaimed barn wood siding. 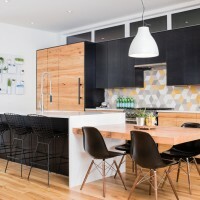 This project is designed for modern families in the inner city wanting a home that reflects their design lifestyle. 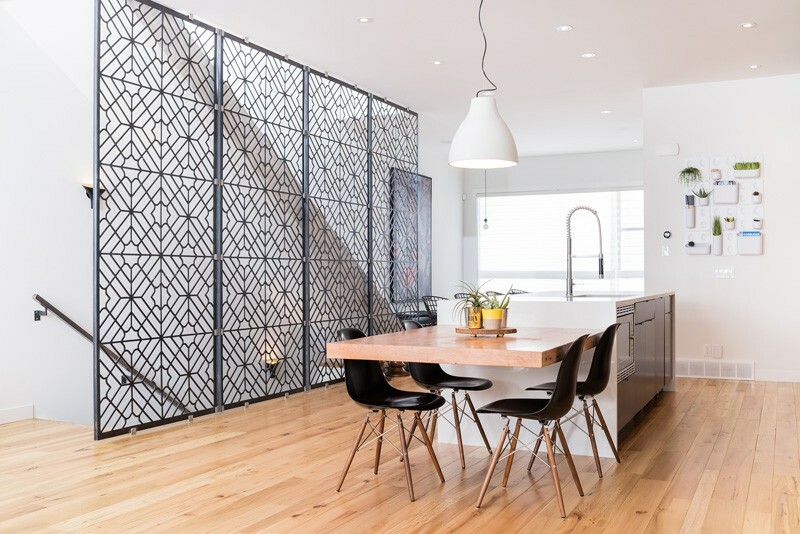 The main floor features a 10-foot ceiling, maximized windows and reclaimed elm flooring; the materiality of the wood permeates through the main floor as it is also used to finish the kitchen cabinetry and fireplace wall detailing. 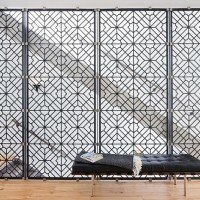 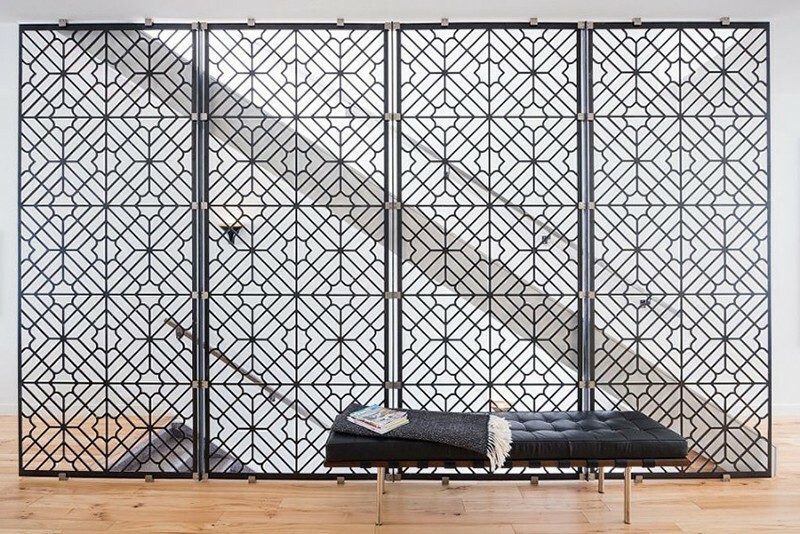 A raw metal stair guard wall was custom designed with a jali-inspired pattern to provide graphic interest and transparency to the stair wall. 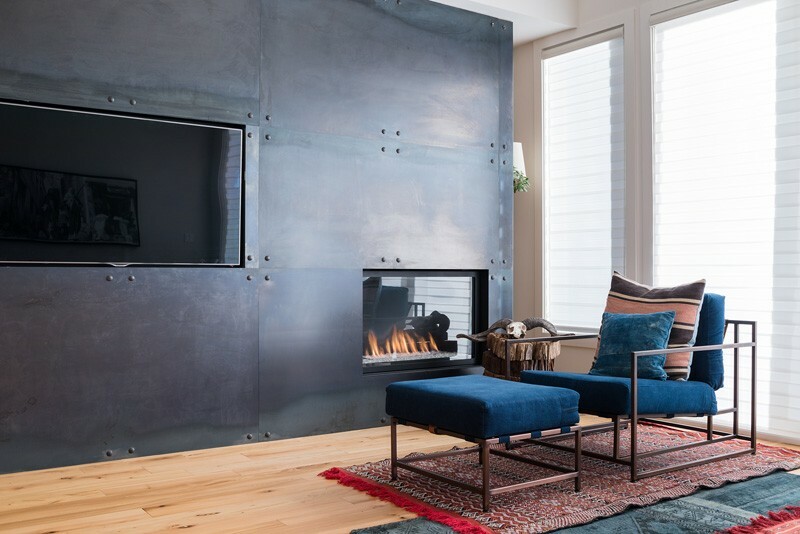 The raw metal material is also used in the facing of the fireplace and media centre in the main floor living room. 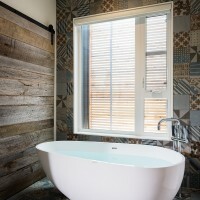 Moroccan-inspired architectural tile is complemented by the addition of a reclaimed barn door for the entranceway of the Master Ensuite bathroom, and by the strategic placement of the second floor exterior cedar screen that provides both exterior architectural interest as well as privacy screening for the stand-alone tub. 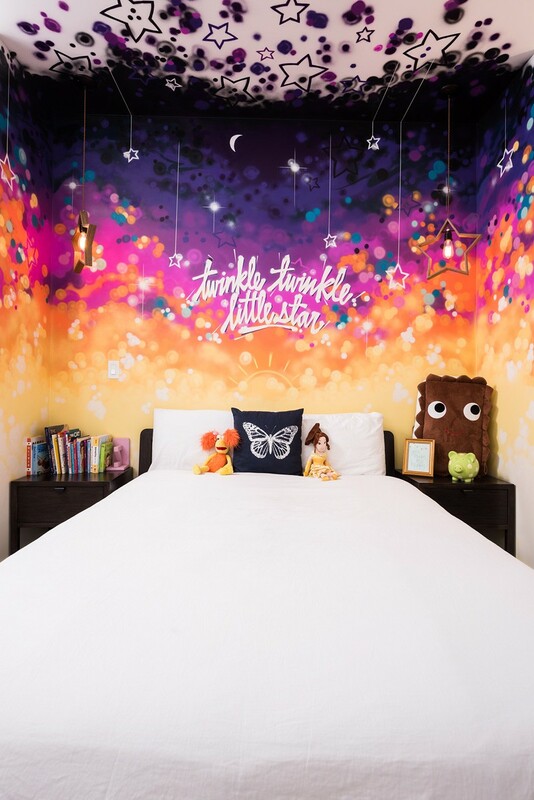 In the bed niche of the second floor bedroom a commissioned mural that wraps up onto the ceiling is harmonized with Japanese designer pendant light fixtures. 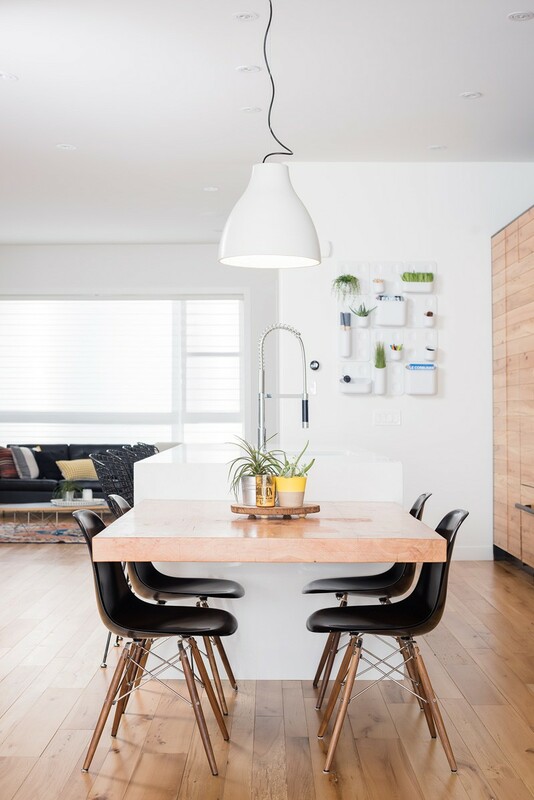 Custom cantilevered oak butchers blocks in the powder room and kitchen offer a clean dynamic element to the style of the house along with custom, local-made concrete lighting on the main floor.